We are well into our Summer break…and looking for activities to occupy us when the temps are just too high to enjoy playing outside…well today was that day! 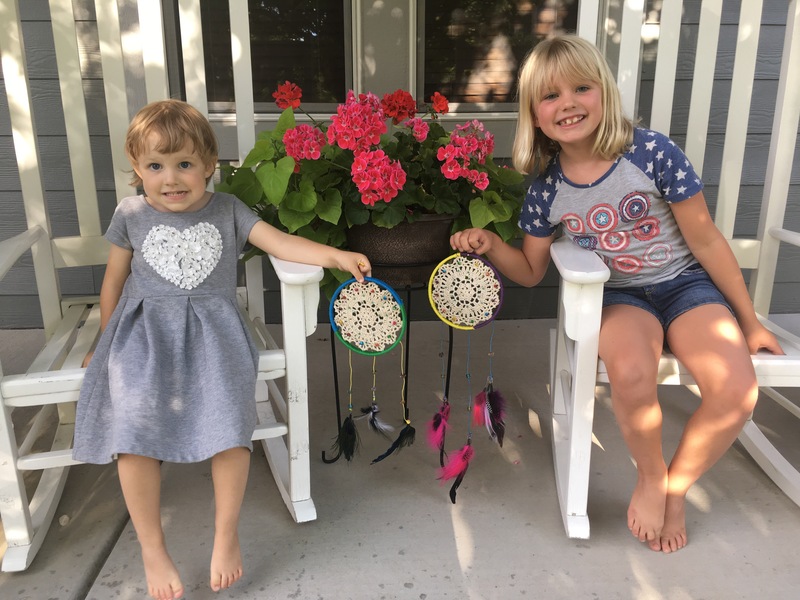 It’s a balmy 98 degrees…a record high for us here in Colorado and since I promised my girls we would make Dreamcatchers over Summer break, today was THE perfect day in my opinion. We took ourselves to Hobby Lobby to buy our supplies earlier this week in preparations for today’s hot weather! 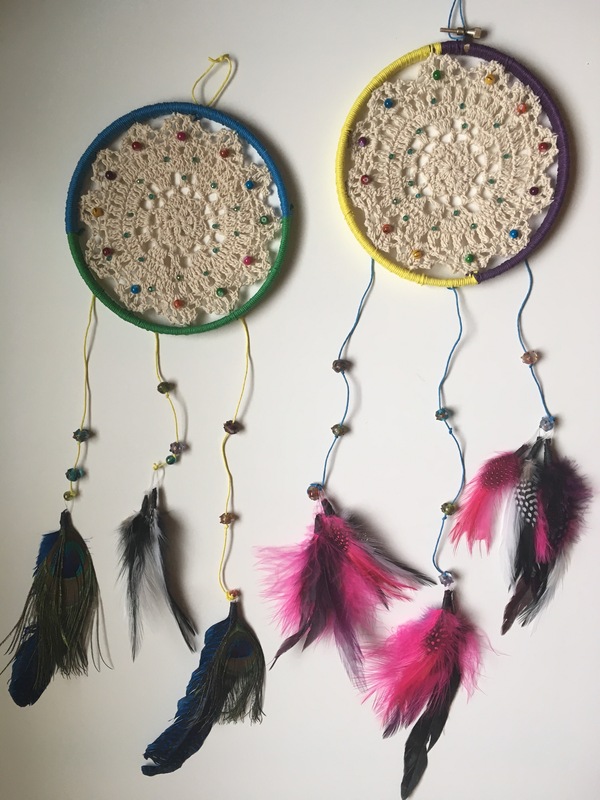 We bought an embroidery hoop (when you take it apart, they each had their own Dreamcatchers base). 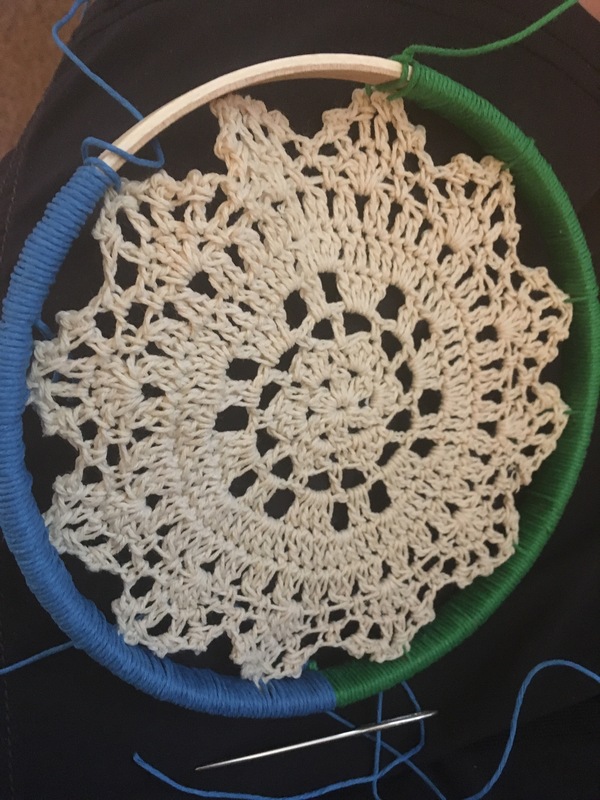 We bought two doilies, a bag of multi colored thick thread, a couple strands of beads and FEATHERS! 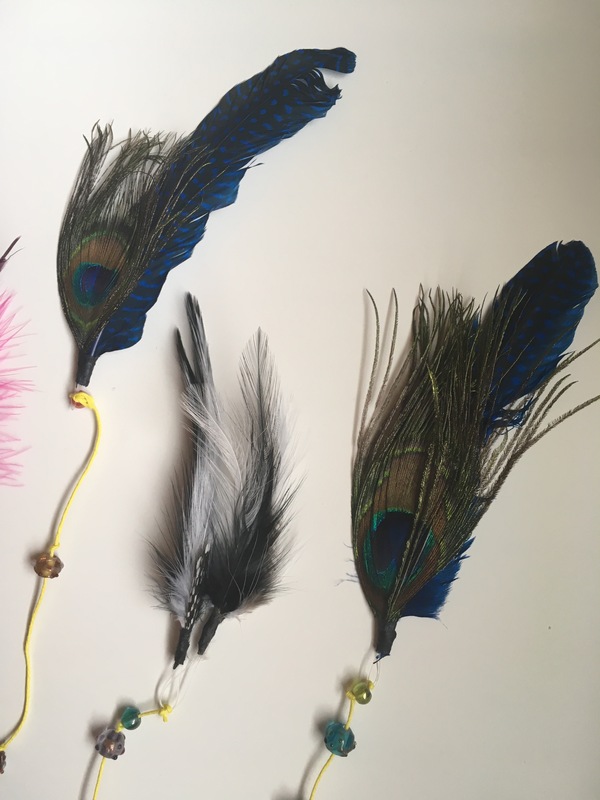 I also had a few tools in my stash…some knitting needles, clear Gutermann sewing thread, (you could use fishing line) and scissors. 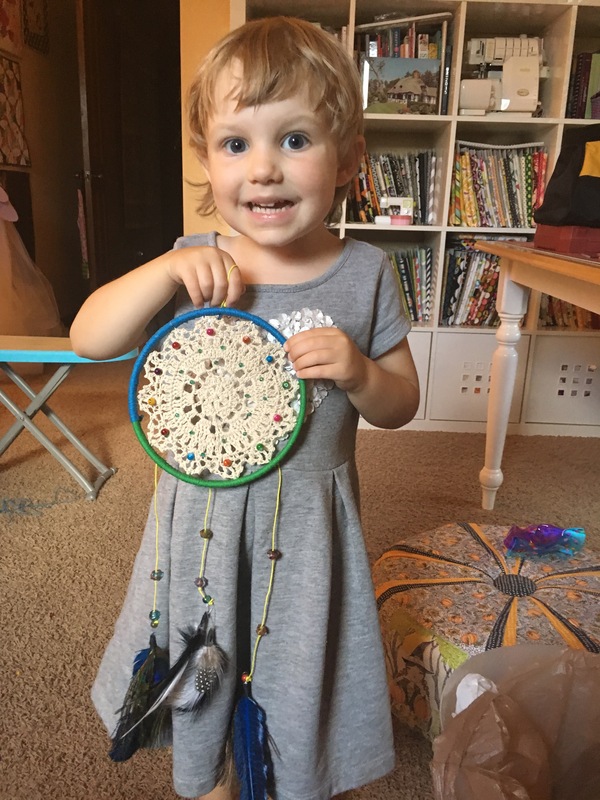 Instead of tying hundreds of knots, I decided on using doilies for the inner circle of the Dreamcatchers…I had seen this online and thought it was an ingenious way to make them faster with young kids, which I have…as I knew they would have lost interest right away. 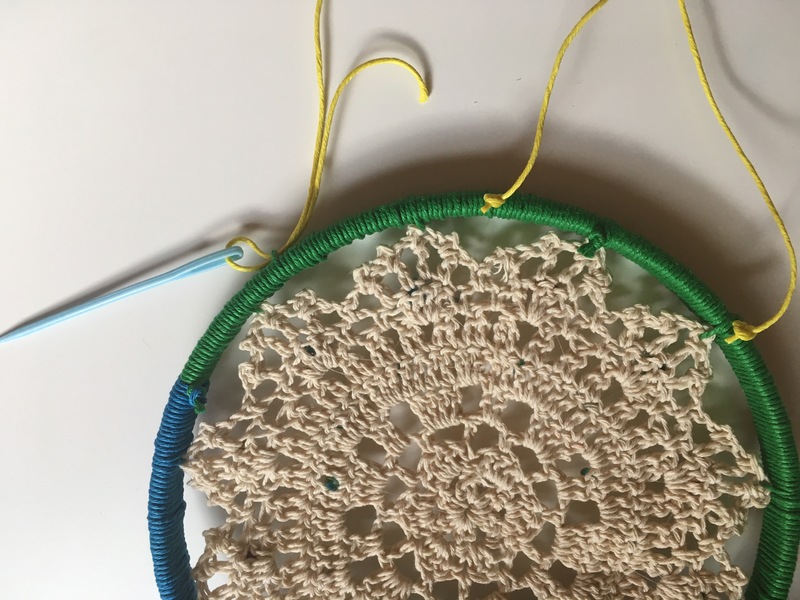 Choose your color thread and start wrapping the hoop making sure to hand “sew” the doily on at each point with the thread…in our case, there were 12 points in these little doilies. This is where the knitting needle came in (and it isn’t sharp so little ones can handle them with ease). They come in plastic or metal, I was actually using one of each. 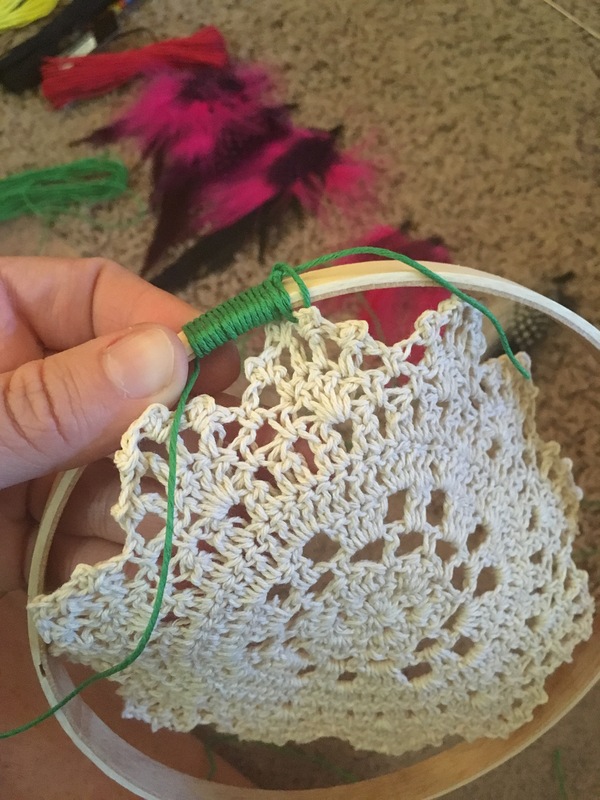 Once finished with the beads, it’s time to add the tails…in my case 3 on each catcher. 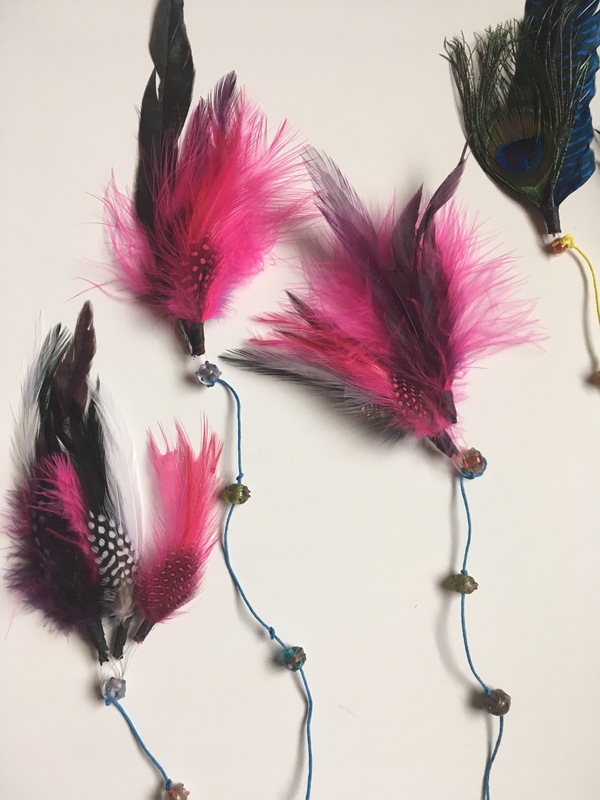 We adorned them with some bigger beads for a little weight and attached our feathers on the end. When I added the tail thread I simply threaded it with the knitting needles on the hoop (see pic) and tied knots! 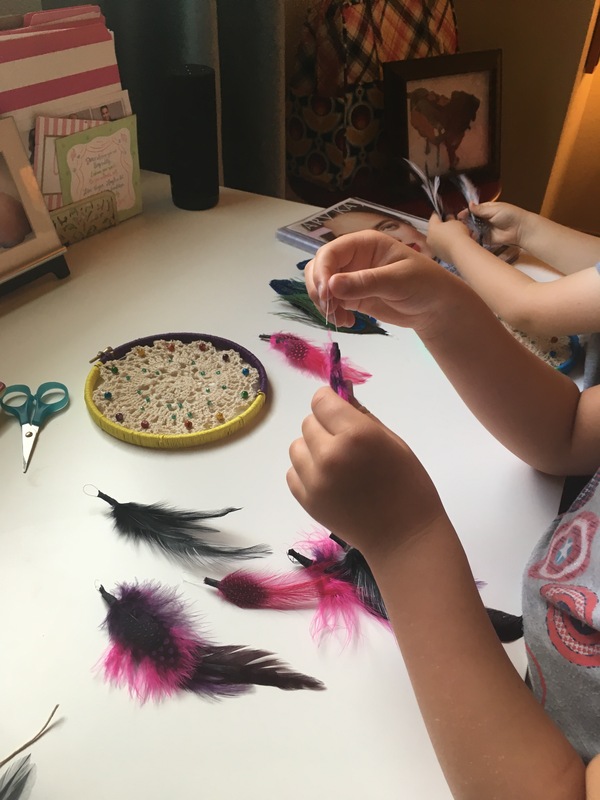 My girls loved this part…who doesn’t love playing with feathers and beads? Hope this helps you fill a Summer day and eventually many Summer nights with happy dreams!! Previous Post Make your own lounge pants! Next Post The Best Day Ever! 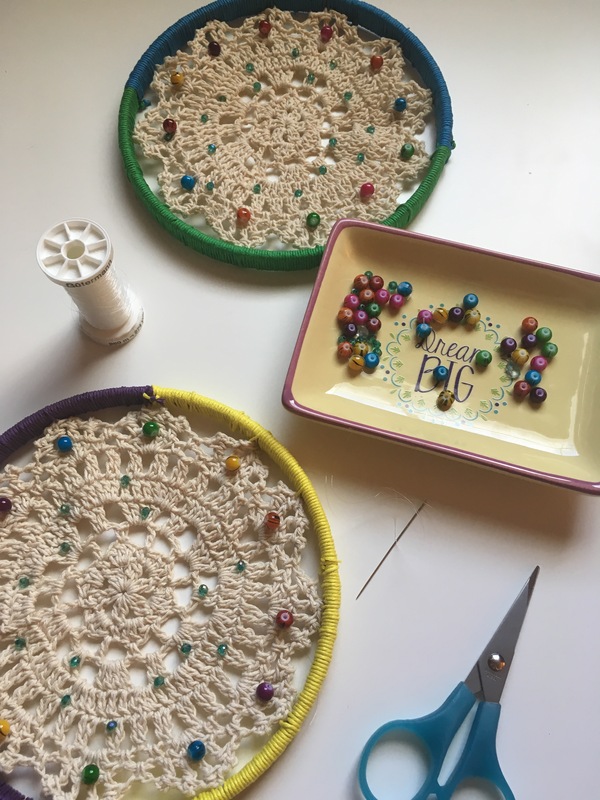 Love the pictures and what a fun indoor craft!